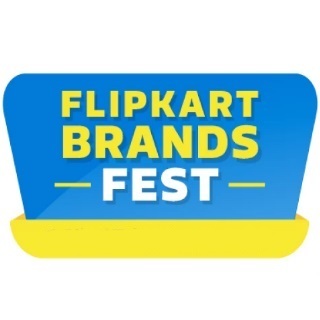 Flipkart Brand Fest: Upto 70% Off on Flipkart's Own Brand products from category such Appliances, Home & Furniture, Electronics, Baby Care, Fashion, Grocery & More. Shop from Flipkart's brand such as MarQ, Billion, Flipkart Perfect Homes, Metronaut and more. No coupon code needed. Shop now! How to Get Discount in Flipkart Brand Fest? What is Flipkart Brand Fest Sale? What are Flipkart Brand Fest Offers on Appliances? What are Flipkart Brand Fest Offers on Home & Furniture? What are Flipkart Brand Fest Sale Offers on Electronics? What are Flipkart Brand Fest sale offers on Baby Care Products? What is Flipkart Brand Fest Discount on Fashion? Flipkart has started its Brand Fest sale from 14th Jan till 15th Jan in which user will be benefited with 70% discounts on Flipkart's own brands in all categories. Flipkart Brand Fest Sale Offers - products will start from Rs 99 in electronics, home & kitchen and avail min. 50% discount on Fashion, baby care products and furniture. Do you know Flipkart owns certain brands? Yes, you heard it right. Flipkart, one of the largest e-commerce websites, is the owner of brands like Smartbuy for electronics and accessories, Citron for home appliances, Billion for smartphones and accessories, and MarQ for large appliances such as air conditioner, television, and more. Though you will always find discounts on these house brands products, Flipkart Brand Fest is a time where you get discounts like never before. Time to time, the e-commerce giant rolls out exclusive Flipkart Brand Fest deals and offers for the customers. Flipkart Brand Fest sale is an exclusive Flipkart sale on its own brands. On using the Flipkart Brand Fest offers, users can purchase appliances, electronics, home & furniture, fashion, grocery, baby care products and more. Additionally, one can get his hands on special Flipkart Brand Fest discounts on 4 star rated products from Flipkart house brands. Whether you want to purchase a washing machine, a steam press, or a microwave oven, whatever be your need, avail Flipkart Brand Fest offers on appliances. On marQ washing machines, you can get 20-40% instant discount. MarQ by Flipkart microwaves are available at a starting price of Rs. 3,199. In other words, during the Brand Fest sale by Flipkart, you can grab up to 30% discount on overs. Billion dry irons are available at a minimum discount of 50% only on Flipkart. Give your home a new look with Flipkart Brand Fest offers on home & furniture. Let go of your old furniture and bring home new designer furniture and decorative items. During the Brand Fest sale, avail up to 50% discount on living room furniture. A minimum discount of 50% is available on wardrobes while most wanted products have up to 57% discount. Decorate your walls or get a new showpiece for your favourite corner as home decor products start at Rs. 99 only. Also, the range of Miss & Chef kitchen products begin from Rs. 89. If you want to buy an air conditioner, do your shopping at Flipkart during the Brand Fest sale where MarQ by Flipkart air conditioners start from Rs. 18,999. Not only this, the price of smart televisions, 43 inches, begin from Rs. 19,499. Along with electronics, discounts on Bluetooth speaks and headphones start at 50%, power banks are available from Rs. 649 onwards, and the starting price of cables and chargers is Rs.99. So, don’t wait from and avail exclusive Flipkart Brand Fest deals on electronics and small appliances right away. A minimum discount of 50% is available on baby care products at Flipkart Brand Fest sale. Whether you need a hooded blanket or mats, Miss and Chef baby products are available at the half price. Fashion is what everyone looks for during the sale time. Flipkart takes special care of customers who shop for fashion during the Brand Fest Sale. For this, the e-commerce platform gives 10% extra discount on Anmi and Metronaut apparels, along with Flipkart Brand Fest 50% discount. So, if you wish to change your wardrobe, make sure to take advantage of Flipkart Brand Fest offers. In addition to this, you will come across a minimum discount of 50% on bags, shoes, and more during the Flipkart Brand Fest sale.